Achieve youthful, radiant and smooth skin with this revitalizing blend of detoxifying clays, superfoods and pure plant botanicals formulated to clear complexion, minimize pores, brighten and soften skin, increase cell turnover, and promote healthy, glowing skin. Improves complexion, treats acne and hyperpigmentation. Boosts collagen production, maintains skin's elasticity and restores skin's natural moisture content. Brightens and promotes healthy, glowing skin. Helps protect skin from sun damage. 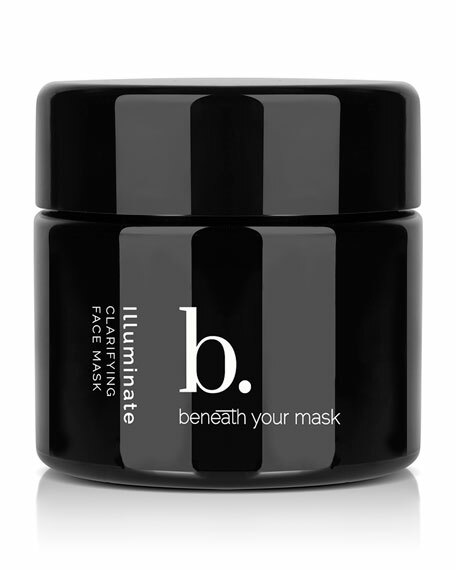 Exfoliates, detoxifies and tightens pores. Reduces blackheads and controls excess oil. Add a little less than equal parts water to a half TBSP of mask powder. Once mixed, smooth over clean skin with mask application brush. Leave on for 20  40 minutes. Rinse off with warm water.